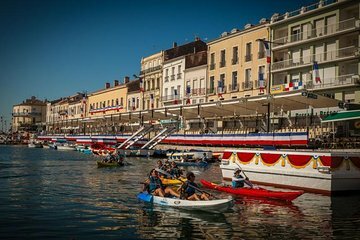 Paddle your way around the sights of Sète on this 3-hour sea kayaking tour – a thrilling way to explore the Mediterranean coast. Learn how to steer your tandem kayak, then zip up your life jacket and hit the waves for a wet and wild adventure. A fun choice for families, this small-group tour is suitable for all ages and skill levels, with expert instruction and all equipment included.